When someone takes a down-on-its-luck JDM econobox and turns it into a car worthy of overwhelming praise and unimaginable fear at the same time, they’re doing something right. That’s why Mighty Car Mods bought this busted Daihatsu with a homemade electric drive conversion in the hopes that it would be the backyard mechanic’s answer to the Tesla Model S.
I’m a huge Mighty Car Mods fan, from their first episodes where they literally chopped up a junk car to see how much faster they could make it, to their newer, more budget-intensive builds. As both a viewer and a gearhead, I was intrigued to see that Marty and Moog, the mad wrenching duo, bought an electric car that was converted some time ago by a previous owner int he most haphazard way imaginable, if only to see carnage and hack engineering. 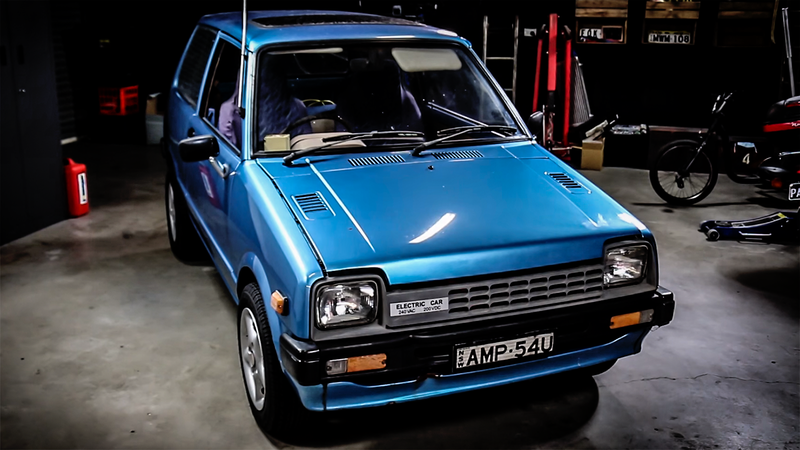 The car they used in this episode, a 1982 Daihatsu, was converted some time in the 1990s using heavy lead-acid AGM batteries that have all but lost their charge. The car, now converted to a lifeless hunk of metal, needs a jump start in the form of new batteries and a revised wiring scheme to run properly and safely. Having no previous experience with this sort of drivetrain configuration, the boys at MCM took it upon themselves to recruit some local electric car conversion experts to supply and wire up the batteries, explaining what everything does and the potential risks and rewards for converting an old clunker of your own. It’s the first in a multi-part series, but it’s a definite must-watch if you have any engineering curiosity at all. Tavarish is the founder of APiDA Online and writes and makes videos about buying and selling cool cars on the internet. You can also follow him onTwitterand Facebook. He won’t mind.